Warner Brothers' Direct-To-Video unit, Warner Premiere, shut down over the summer and its employees have already been relocated elsewhere in the company, according to a report at Deadline Hollywood. Warner Premiere was formerly run by Diane Nelson, who shepherded the Harry Potter franchise for Warner Brothers and currently serves as the President of DC Entertainment. Nelson oversees DC's film and home video efforts, as well as administrating the publishing arm of the company. According to the article, Warner Premiere will “continue and complete production on its remaining film and digital series project into the Fall,” at which point the direct-to-video, video-on-demand and direct-to-digital content being produced by Warner Brothers will be reassigned elsewhere. 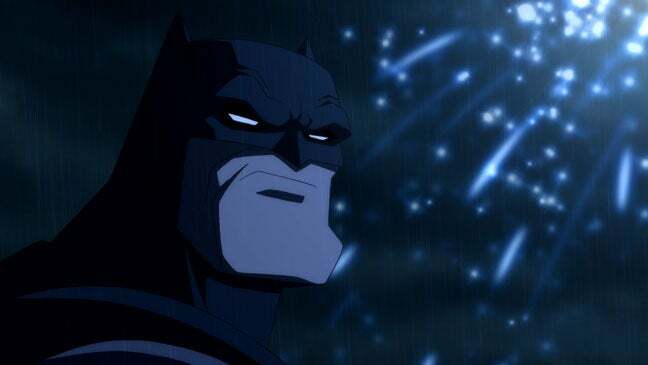 Among their fall projects is the first half of a two-part film adaptation of the Frank Miller classic Batman: The Dark Knight Returns.